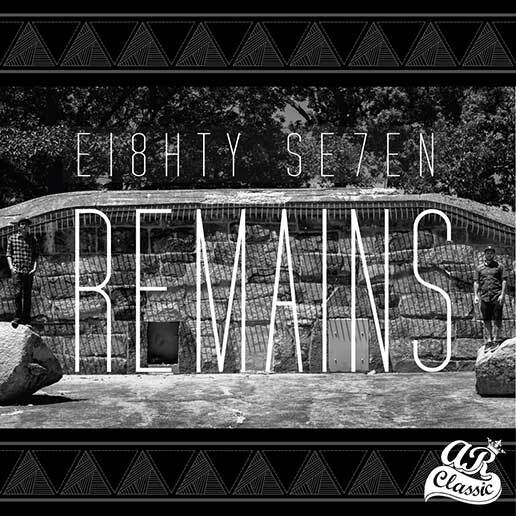 Mass Hip Hop: Album: Remains "Ei8hty Se7en"
Here's the debut release by AR Classic artists, Remains, an emcee/producer duo made up of Andrew Milicia and Lightfoot. Milicia’s honest "I am who I am" approach to his lyrics, blended with Lightfoot’s detailed and evocative production make for a unique sound, fit for a very wide range of listeners. 'Ei8hty Se7en' is an all original project that mixes their boom-bap influences with a contemporary synth based sound.